Dave Lee, local Twin Cities television personality passed away on Monday, November 28. 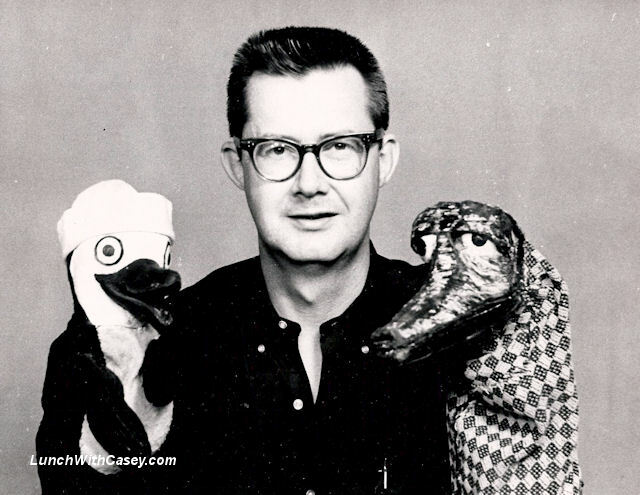 To Minnesota children in the 1950’s and 60’s, Dave Lee was a popular puppeteer bringing to life such characters as Pete the Penguin, Fragrant the Skunk, and Omar the Alligator. After Dave left broadcasting in 1970, he had a successful career in hospital administration, including fundraising for the Minneapolis Children’s Hospital and later retired to southern California. As a young man, David Gamble Lee began his broadcast career in 1944, as a summer announcer at WRJN in Racine, Wisconsin. Over the next few years, Dave held announcer positions at WOWO in Fort Wayne, Indiana, WCKY in Cincinnati, Ohio, and WIBC in Indianapolis, Indiana. While in Fort Wayne, Dave served as president of the Fort Wayne Press Club. In 1948, he was working at WWCO, a radio station in Waterbury, Connecticut, where he started performing different character voices for a children’s show. Later that year, he was back in Indiana at WKJG radio working as announcer, DJ and news anchor. WKJG was launching a television station at the time, and Dave brought his silly characters and combined them with puppets to create his first children’s television show. 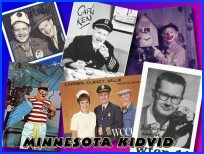 In 1958, Dave Lee moved to Minneapolis to work as a news anchor at KMSP, channel 9, and brought his children’s show with him. As Dave once described it, he would perform the children’s show, then have to make a quick switch over and present the news. He later said, “When they found out I could do puppets, that was all they wanted.” The children’s show as called KartoonTime at NoonTime with Pegge and Dave. 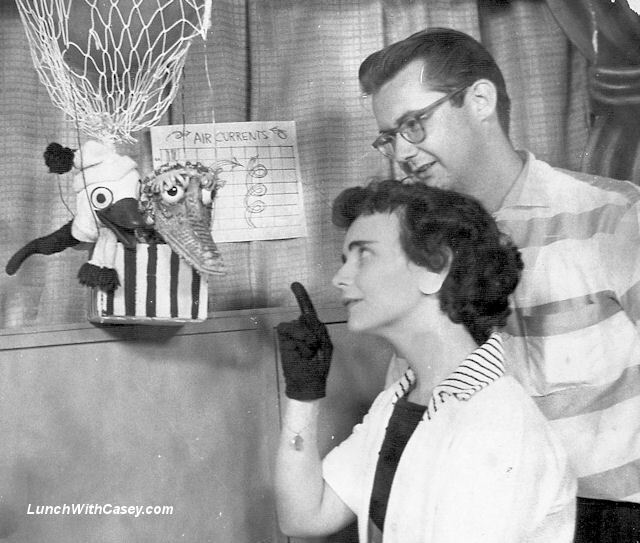 Dave and his wife Pegge would perform with various puppets, including Pete the Penguin and Omar the Alligator. Dave also has his own show at 6PM called Dave Lee’s Looney Tuners Club. In 1960, Dave and Pegge moved to Florida for a short stint at WSUN in St. Petersburg, Florida, but soon found themselves back in Minnesota. 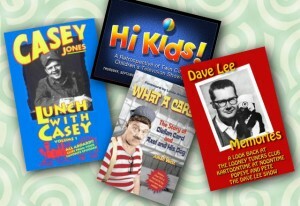 Dave Lee was offered a job as a kids show host at WTCN, where Roger Awsumb had his very popular Lunch with Casey show. 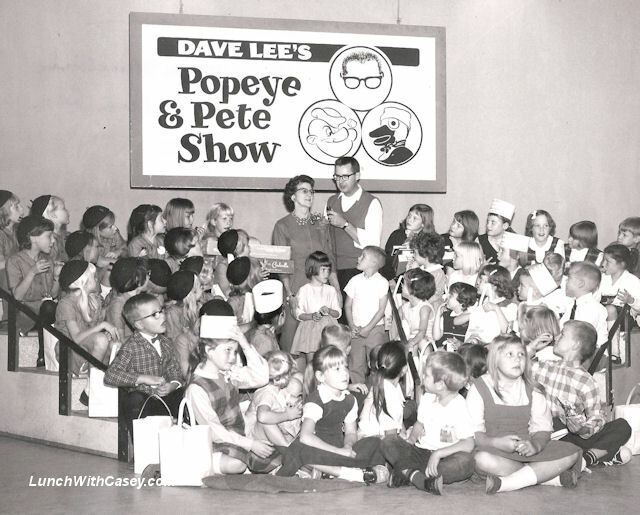 Dave Lee’s program aired in the afternoons and was known by many different names including “Popeye and Pete” which showcased Popeye cartoons, “Beetle and Pete” when the show featured Beetle Bailey cartoons, and eventually became “The Dave Lee Show.” The format consisted of one or two cartoons, interviews with a studio full of young children, and a puppet segment featuring many of his creations. Each day, the children would receive a grab back of candy and other products. Once child would get to show off the contents of the grab bag and would be rewarded with a button that read “I was the TV Announcer on Popeye N Pete.” And every day, Pete the Penguin would interact with the kids, pulling the pony tails of little girls and tugging on the ties of little boys, accompanied by crazy sound effects such as an automobile horn. There were many different puppets featured over the years. Pete the Penguin was the star of the show, and a bit of a wise guy with a voice much like Donald Duck. His best friend was Fragrant the Skunk. Omar the Alligator was another popular puppet with a voice modeled after Franklin Roosevelt. Other puppets included Petunia the Poodle, Humphrey the Elephant (named ironically after Hubert Humphrey), and Elf Sergeant Littlejohn. They were made from latex rubber, masking tape, cardboard, and whatever else Dave could utilize. Dave Lee actually worked two jobs throughout the 1960’s. In addition to hosting the TV show, he worked in public relations for a local hospital. In 1970, he was offered a full time position in the health care industry and left broadcasting. His hospital career found him running development offices or hospital foundations in Albuquerque, New Mexico, Oakland, California, Flagstaff, Arizona and Riverside, California. After retiring, Dave settled down in San Diego, California and later lived in Westminster, California until his passing. Sadly, very little survives of the original Dave Lee television broadcasts. Most local children’s programs including Casey Jones, Axel and his Dog, and Clancy and Willie were broadcast live and not recorded. When the shows were recorded on video tape, the tapes would be reused as they were very expensive. In 2010, a documentary was produced featuring interviews with Dave Lee, and his former wife Pegge Lee Forrest. “Dave Lee Memories” collected most of the surviving footage from his show on WTCN. The documentary also features many rare photos and stories from Dave Lee’s broadcasting career. Dave Lee passed away on Monday morning, surrounded by his family. He is survived by his daughter, Heather, and son, Adam. He is fondly remembered by tens of thousands of children who grew up with his television program. Thanks for posting this. I grew up in MSP and remember these shows fondly. Was this the program where limberger cheese was often a punchline? I remember the skunk was OK with the smell, but everyone else was not. Am I remembering incorrectly? Three of my siblings and I were on the Dave Lee Show back in the mid-’60s. I will never forget the huge Slo-Poke sucker that elevated us to high status in our neighborhood… Or when my sister won the Freckle Face Award! He was a very talented man!